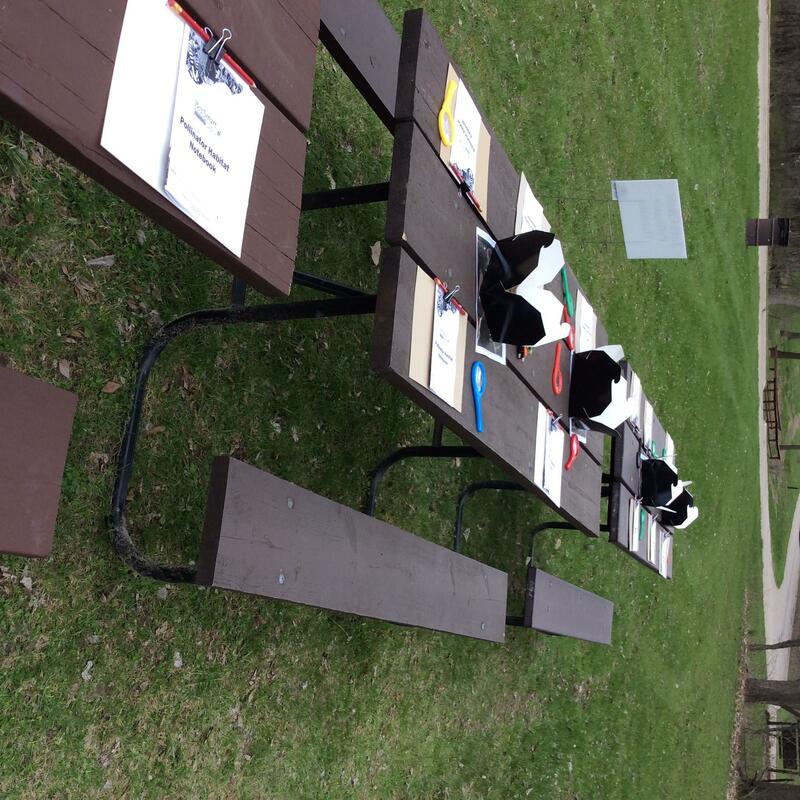 Yesterday Soni and I were presenters at the Outdoor Discovery Program held at Platte River State Park. The weather was perfect, sunny, with a slight breeze. We taught 4th graders about pollinators and what they need for a habitat. We discussed one out of every three bites of food we eat is there because of pollinators. We asked the youth if they could make a list of pollinators and they easily mentioned bees, butterflies, bats and hummingbirds. The kids were surprised to learn that flies and beetles could be pollinators too. 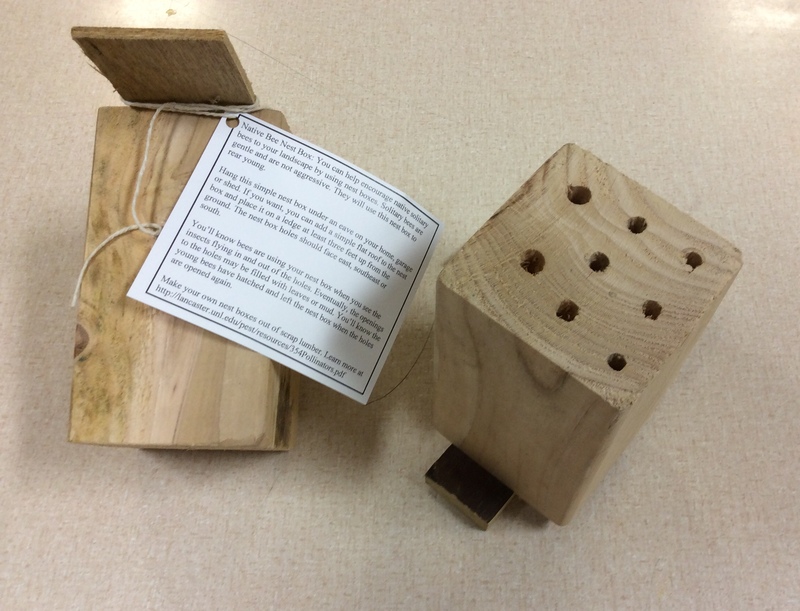 We talked about native solitary bees and showed them bee houses.The youth were able to view pollinators in action since it was a beautiful spring day and there were blooming wild plums near our site. The kids were provided journals so they could record their observations. 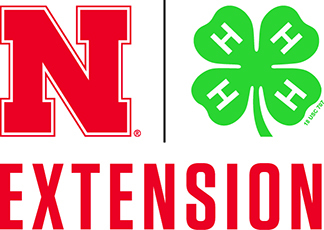 Thank you Nebraska Game and Parks for providing youth this wonderful educational opportunity. Waiting for kids to arrive. Finally a sunny day! I was very grateful for the rain we received, but it is really nice to see the sun. 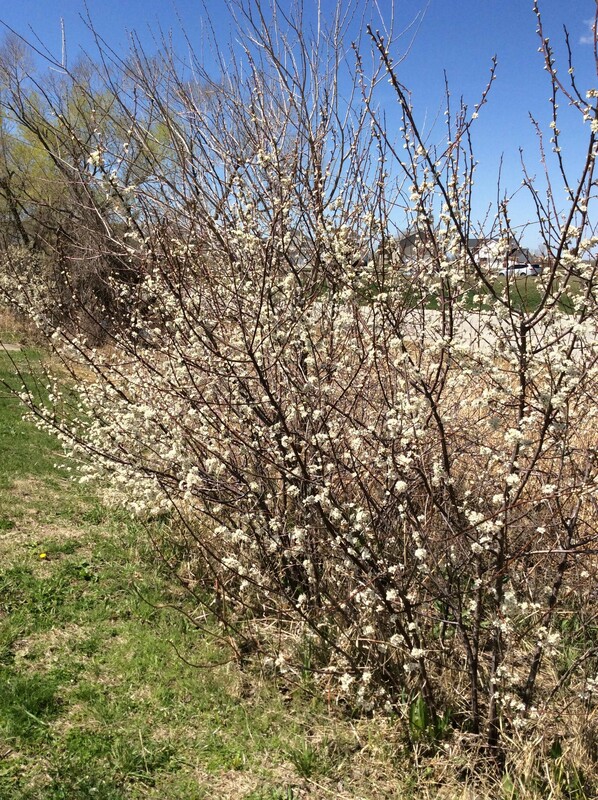 The wild plums are blooming in the habitat and they smell glorious. We ordered new plant tags to label our native plants. 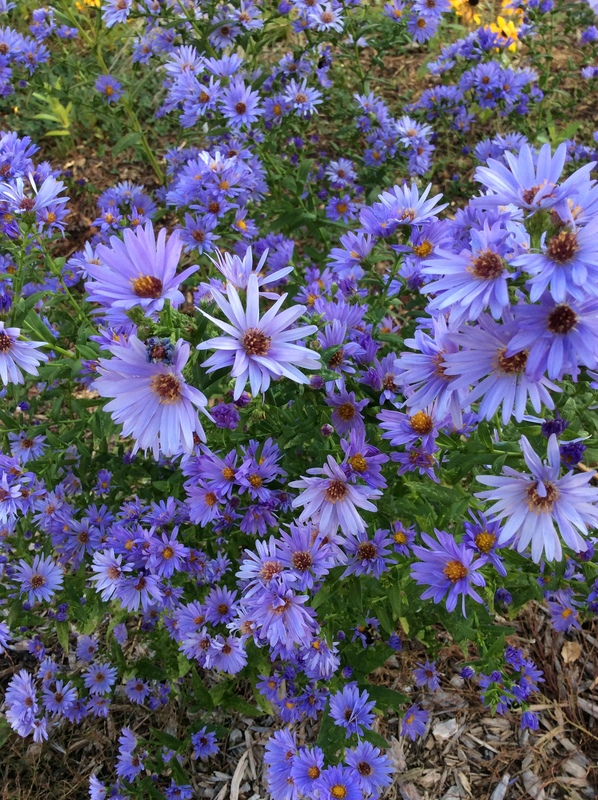 It is important that our pollinator habitat remain a learning tool. By labeling our native plants, visitors will be able to learn how attractive native plants can be in the landscape and hopefully plant them in their gardens. 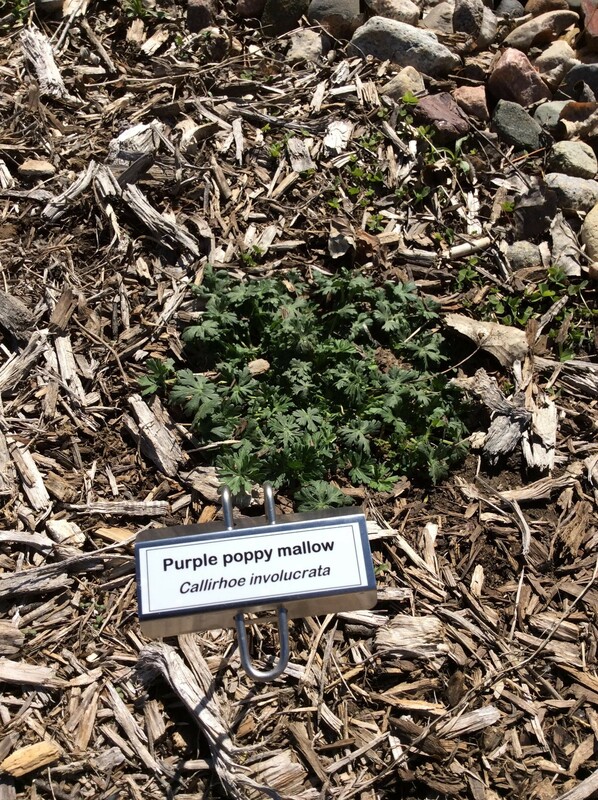 New plant label in pollinator habitat.